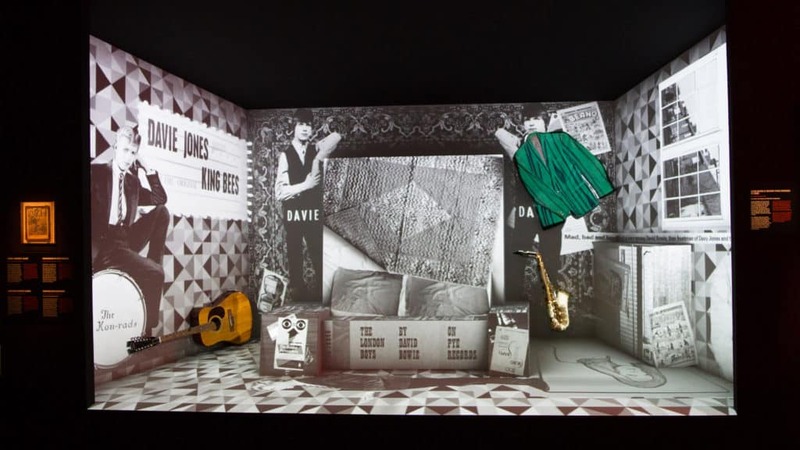 In 2013 59 Productions worked with Real Studios to design the David Bowie Is exhibition for the V&A Museum. The collaboration marked a departure for the V&A – this is the first time that a production company from the world of theatre and opera has been invited to lead the design of an exhibition for the museum. 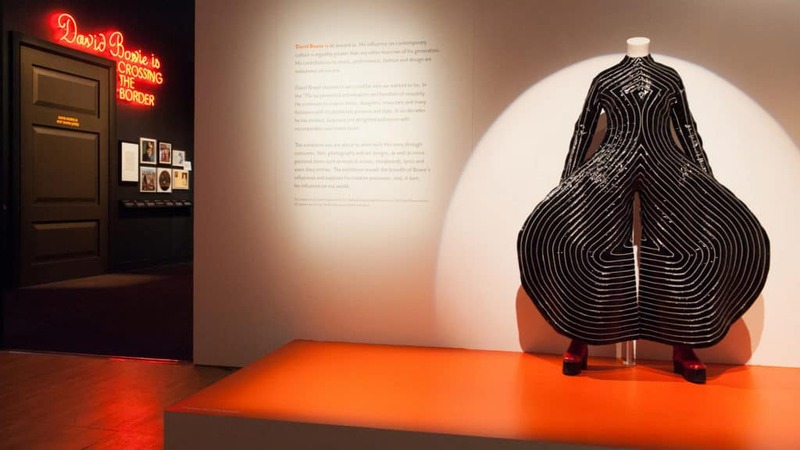 The design of the exhibition drew influence from Bowie’s myriad artistic influences: Surrealism, Expressionism, the Beat Poets, Cabaret and Kabuki Theatre amongst many others. Over the course of a year-long period of research and development, 59 Productions’ Mark Grimmer led the design process, working closely with Real Studios’ Mike Hawkes, interpreting and expanding upon the brief provided by the exhibition’s curators, Geoff Marsh and Victoria Broackes. “The idea was to combine the curators’ intellectual approach to Bowie as a cultural taste-maker with an aesthetic that was theatrical, informed by visual material that we knew to have been influential for Bowie. 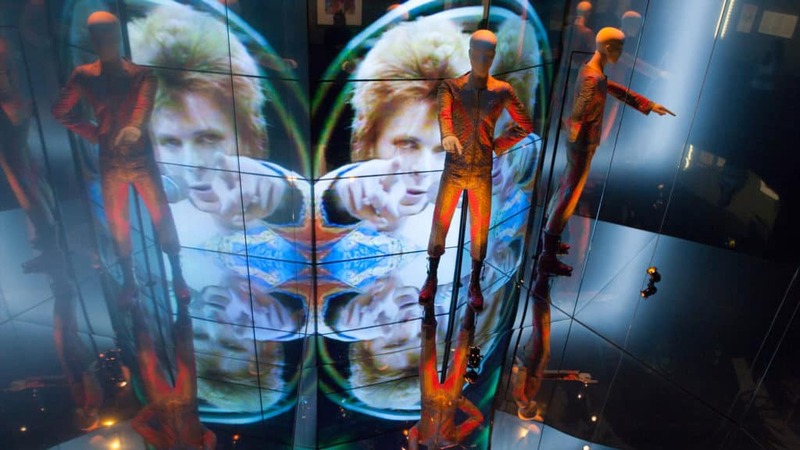 In that sense, the exhibition design is both an expression of Bowie the artist, and a reflection of his own process of cultural appropriation and re-imagination”, explains Mark. The exhibition combined a significant amount of set design with a number of video projection installations, and created an almost dreamlike environment which visitors were encouraged to explore in a non-linear fashion. 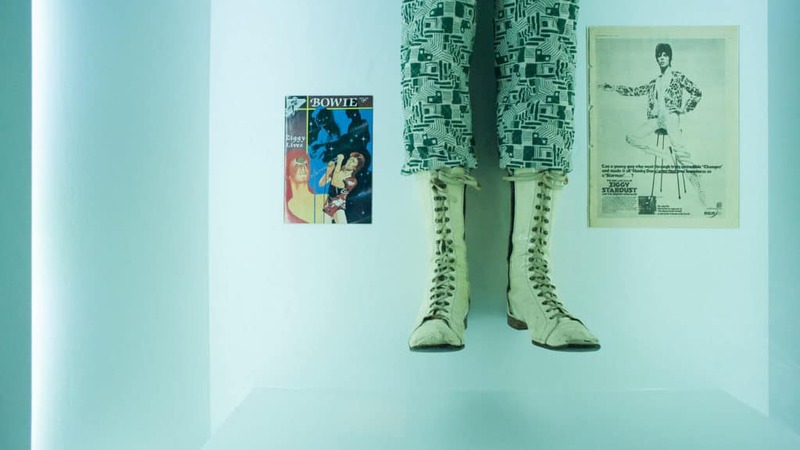 An eclectic selection of over 300 objects, mainly lent by The David Bowie Archive, including handwritten lyrics, drawings, costumes and set designs were brought together and presented within a series of distinct environments which reflected Bowie’s constantly changing identity and omnivorous consumption of culture. As well as the physical design – characterised by angular architecture and a cool monochrome palette, accented with hints of ‘Ziggy Orange’, the exhibition featured several bespoke animated sequences which incorporated photographs, film footage and digitised versions of paper objects. 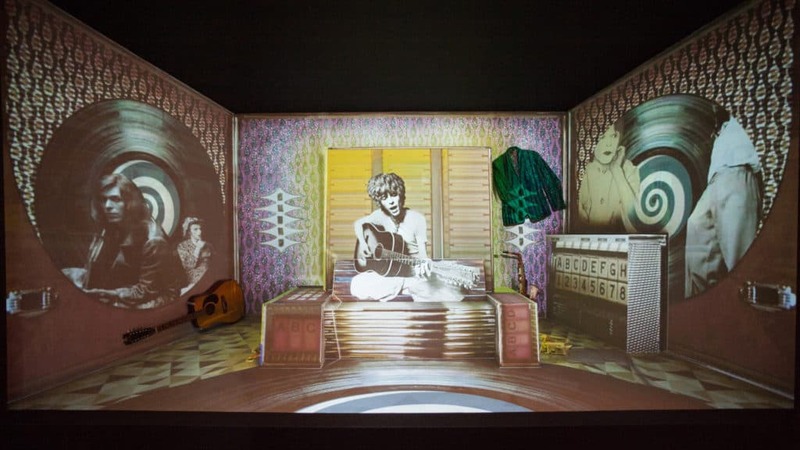 Projected onto a blank, abstract room set, a 4 minute animated film took the visitor on a journey through Bowie’s younger years – from a bedroom in suburbia to the nightclubs of Soho, via the spongelike imagination of a boy who went on to change cultural history. 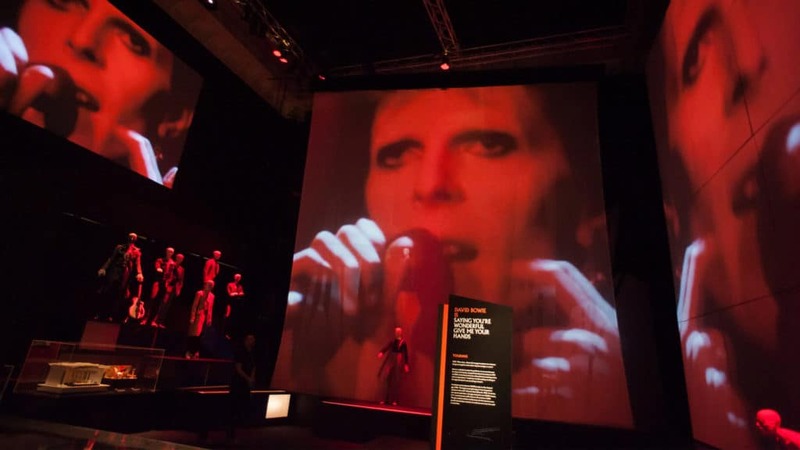 Elsewhere, a series of giant boxes housing 6 of Ziggy Stardust’s iconic costumes doubled up as a 9m high projection screen onto which rare live performance footage was projected. 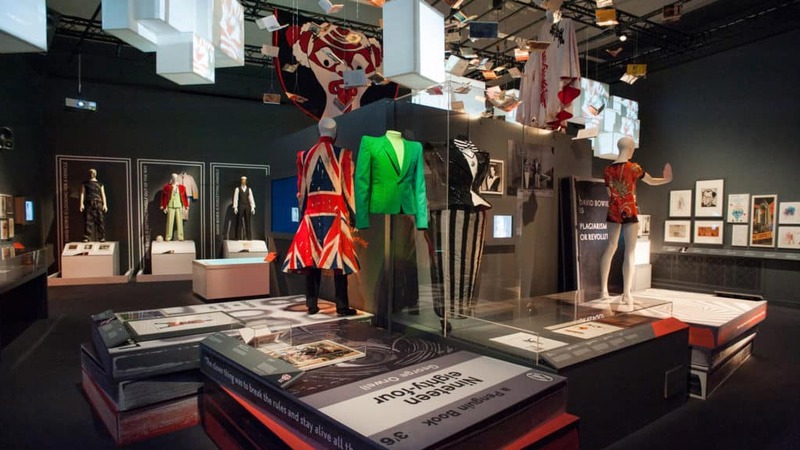 The overall aim of the design was to reinforce the exhibition’s central message: that Bowie, unlike any other artist of his generation has had, and continues to have, a profound influence on our lives. 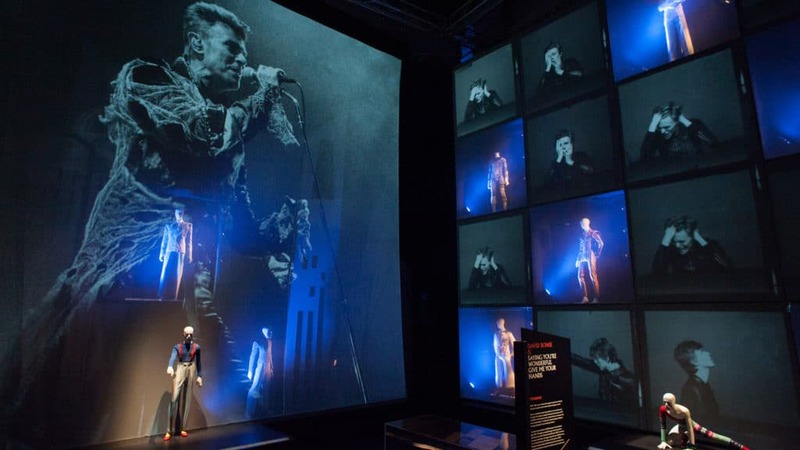 Since its premiere in September 2013, David Bowie is has toured the world, appearing in Toronto, Sao Paolo, Berlin, Chicago, Paris, Melbourne, Groningen, Bologna, Tokyo and Barcelona and has now been seen by over 1.5 million visitors worldwide, making it on track to become the V&A’s most visited exhibition in its history. All the exhibits, presented using cutting-edge technology by – among others – the team behind the video projection at the opening ceremony of the Olympic Games, add to that sense of a fertile intelligence, changing constantly, shaping the world… The sheer grandeur brought tears to my eyes. I felt as I felt when I first saw Bowie live – simply glad to be in the same building as a man who could make music like this. If you are not a Bowie fan, you might not cry. But I can’t believe you will walk away from this stunning exhibition without understanding a little of why he inspired those of us who love him. The blockbuster element of the exhibition comes in a huge room recreating the spectacle of a Bowie live show, with multiple screens covering the walls and screening unseen footage of Bowie in Philadelphia in late 1974, just as he ditched glam and moved towards the plastic soul of Young Americans…David Bowie Is leaves the visitor dazzled, impressed and just a little bit confused, which is surely what the man himself would want it to do. 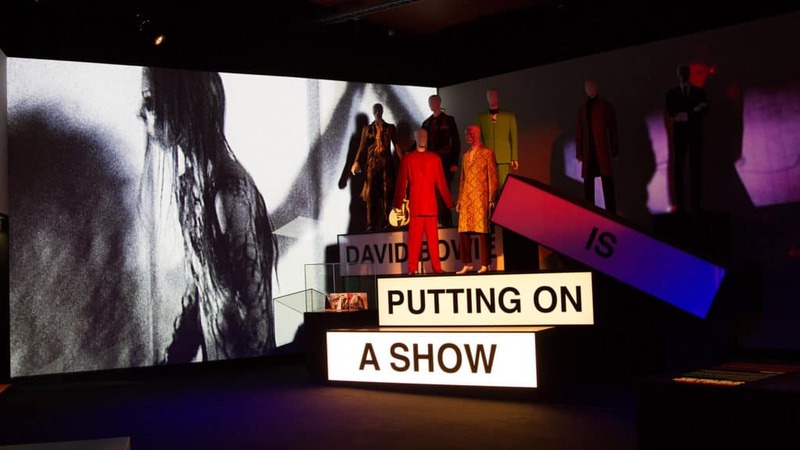 A triumph…The curators of this thrilling show have raided David Bowie’s archive for the first time, and its depth is astonishing. The most striking thing about the show is that it is brought to life by technology and united in sound and vision in a way rarely seen in a museum. The exhibition is sculptural, immersive and dramatic. Your run-of-the-mill gallery exhibit, this is not. It’s an important exhibition; I think it will stick in people’s minds for a long time. I wouldn’t have missed it for the world.